Kyle Kuzma signs autographs for fans before a game in Memphis on Dec. 8, 2018. Kyle Kuzma took a bit of time on Friday night to hear what kinds of questions his fans had for him. 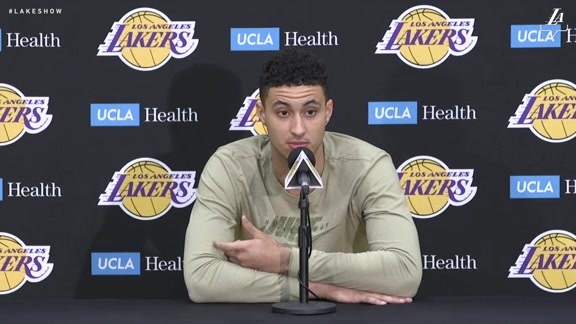 Kuzma dished on a bit of everything, from his goal for next season and advice to draft prospects to his dinner with LeBron James and rookie run-in with DeMarcus Cousins.